'Video Games Live!' comes to the Grand Rapids Pops stage for one-night only on Saturday, January 7, 2017. /Photo Courtesy of Video Games Live! More about Video Games Live! 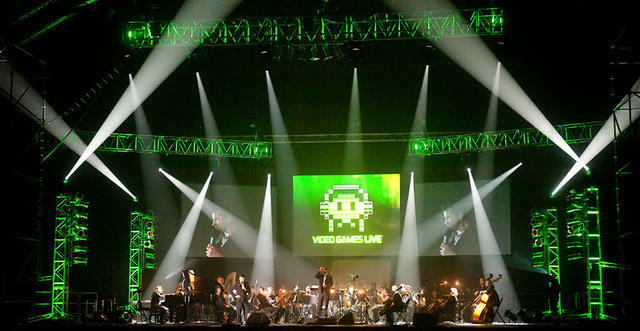 Video Games Live has performed over 350 shows in 42 countries on 5 continents. Over 2 million people have experienced the show live. 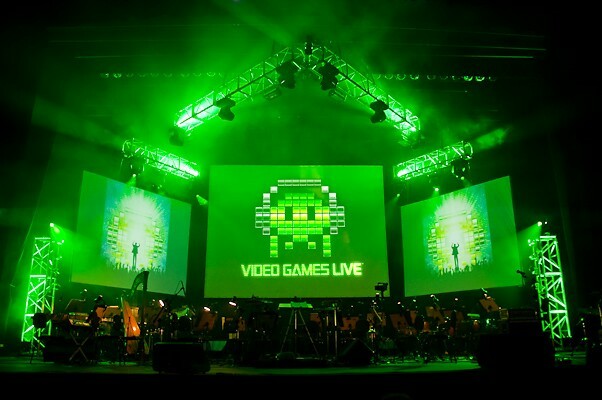 Video Games Live has released 7 albums as well as an award-winning, full-length DVD/Blu-Ray. In 2010 the show aired nationally on PBS, becoming one of the top-rated PBS Specials of all time. The show entered the Guinness Book of World Records as the biggest and longest running symphonic concert in the world. Guitarist, host and co-creator of 'Video Games Live!' 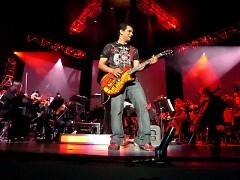 Tommy Tallarico /Photo Courtesy of Video Games Live! See highlights of Zelda, Halo, Final Fantasy, Mario and more at 'Video Games Live!' /Photo Courtesy of Video Games Live! You’ve spent countless hours playing Mario™, Zelda™, Halo®, and Final Fantasy®. You know every tip and every twist. The upcoming release of The Legend of Zelda: Breath of the Wild has you waiting with baited breath. You’re a serious video gamer. But no matter how big your HD TV is at home, it isn’t as big as the one in DeVos Performance Hall. And no matter how high-end your audio system may be, it doesn’t come anywhere close to the live sound of an 80-piece symphony orchestra. Enjoy the adventures of Link in the kingdom of Hyrule or of Master Chief John-117 battling the Covenant along with hundreds of fans just like you with the Grand Rapids Pops on Saturday, January 7. Video Games Live! highlighting some of the most popular video games of all time, comes to the Grand Rapids Symphony stage for one-night only in DeVos Hall. Video Games Live! features the best music and synchronized video clips from such games as Mario, Zelda, Halo and Final Fantasy, with visual images screened in HD alongside the immersive, surround sound of your Grand Rapids Symphony. See highlights of Video Games Live! on YouTube. Guest conductor Emmanuel Fratianni guides the journey, along with soloists and electronic percussionists joining the orchestra, through the music of iconic games at the 8 p.m. show, part of the Grand Rapids Symphony’s Gerber SymphonicBoom Series. 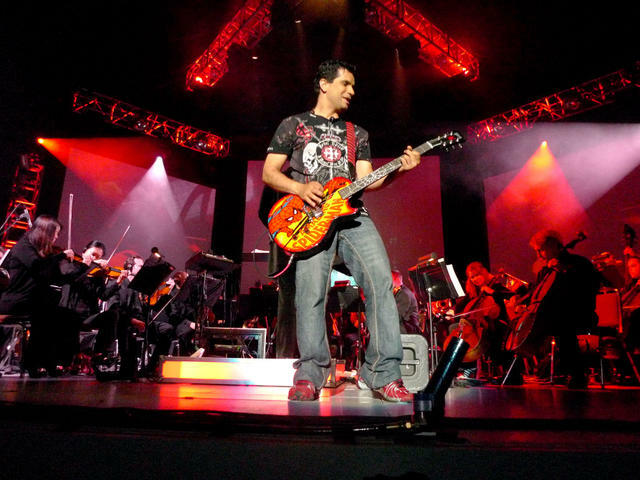 The concert was co-created and produced by guitarist Tommy Tallarico, one of the most successful video game composers of all time. “My dream when I started working on Video Games Live in 2002 was to demonstrate how artistic and culturally significant video games have become," according to Tallarico. "Aside from opening the eyes of non-gamers to the industry, my goal is to help usher in a whole new generation of people to appreciate symphonic music." Video Games Live! combines the power and emotion of a symphony orchestra plus the energy and excitement of a rock concert on top of the technology and interactivity of a video game. Video Games Live! held its first show back in 2005 in Los Angeles, California, with a record 11,000 people at the show, making it was the biggest video game concert in the world to date. Tickets start at $18 for Video Games Live! Call the Grand Rapids Symphony at (616) 454-9451 ext. 4 or go online to grsymphony.org.